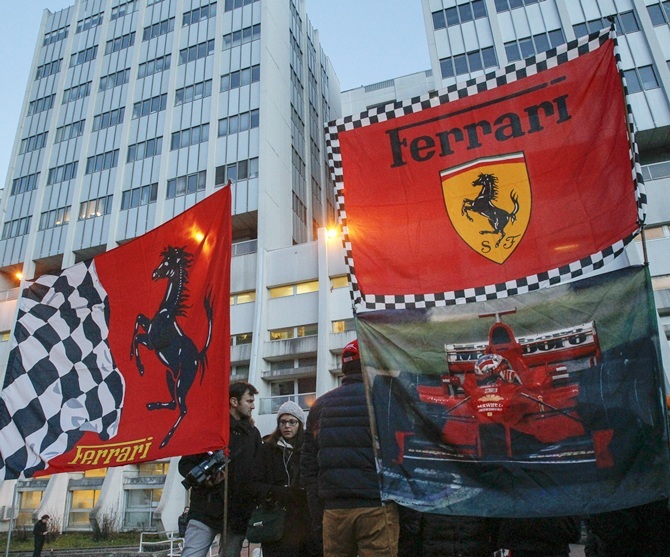 Rediff.com » Sports » Will the 'lucky charms' help Schumacher recover quickly? Will the 'lucky charms' help Schumacher recover quickly? Formula One champion Michael Schumacher turns 45 on Friday but he is fighting for his life after a ski accident in the French Alps. His family and fans are leaving no stone unturned for his quick recovery. The German’s wife, Corinna has surrounded his hospital bed with candles and lucky charms. 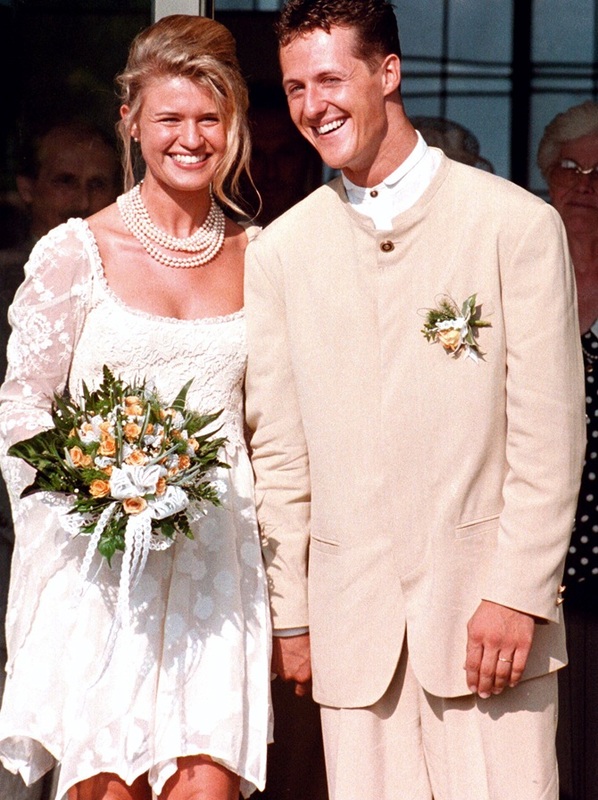 Schumacher’s lucky amulet, which he took with him on every race, has been placed beside his hospital bed by his wife. The ceramic amulet was given to him by Corinnaafter their wedding in 1995, inscribed with the initials of family members. Corinna along with other family members keep a constant vigil on the former F1 champion as he fights to stay alive. Schumacher's family posted a message on his official website thanking all the wellwishers from around the world. His agent Sabine Kehm said on Wednesday that he was in a stable condition and it was too early to talk about his further prospects. No further update was given on Thursday, the day before his birthday. Doctors said that champion was showing slight signs of improvement and had had a second operation, but he remained in a critical condition. Doctors have carried out two operations so far, including one to remove a build-up of blood from his brain.